The 2018-19 high school basketball season will officially come to a close this weekend, as GIECO Nationals is set to make its return to New York City. The final eight teams are all more than qualified to win the national championship, and it should be a fun three days of basketball from April 4-6. We decided to break down what to expect from all four of the matchups set to take place tomorrow. IMG Academy came into this year with debatably the most star power, and through 29 games, they haven’t disappointed in the slightest. The Ascenders went 28-1 on the season with some big wins over DeMatha Catholic, the University School and Oak Hill Academy. They are the first high school team in history to have three McDonald’s All-American selections in Josh Green (Arizona), Armando Bacot (UNC), and Jeremiah Robinson-Earl (Villanova). With these three in tow and much more talent within the rotation, head coach Sean McAloon was able to create a unit that coexisted very well on the floor. What makes IMG so tough this year is the amount of depth they have. They have multiple players to turn to from their impressive backcourt, which includes Green, junior Jaden Springer, and junior Noah Farrakhan, and their frontcourt in Bacot, Robinson-Earl and Mikeal-Brown Jones (Penn State). They also have strong contributors off the bench, with Jarace Walker and Brandon Huntley-Hatfield making big contributions during the seasno. This could be the Ascenders year, and anything short of a title would be a disappointment. Sunrise Christian Academy came into this season as one of the top high school programs in the nation, and they finished the regular season the same way. The Buffaloes went 22-5 on the year, operating against one of the toughest schedules in the country. Some of their biggest wins include ranked foes Imhotep Charter (PA), University School (FL), and Memphis East (TN). Head coach Luke Barnwell has a battle-tested core, and they've already faced four teams in this year's GEICO field. The first couple of names that come to mind when talking about this team are Grant Sherfield, N’Faly Dante, Jordan Turner, and Austin Crowley. The former UCLA commit Sherfield (undecided) takes on the biggest scoring role for this team, but Dante isn’t far behind. Dante is one of the best prospects in the junior class and proved why with his performance this season, averaging 15 points, 9.1 rebounds and 2.3 blocks per game on the year. He will have to really step up against IMG Academy to give his team a chance to win. Baylor commit Jordan Turner and senior shooting guard Austin Crowley (undecided) also contribute a great deal off the ball. The same two teams from last year’s GEICO Nationals Championship game are set to match up against each other in the first round. Montverde Academy didn’t necessarily have the dominant season they normally do, but still finished the season with a 21-2 record behind an extremely talented lineup. Their only losses come against the number one seed in this year’s event, La Lumiere Academy. Some of their biggest wins of the year were their two wins over Sierra Canyon, Oak Hill, Rancho Christian, and Sunrise Christian Academy. The notable names on this year’s team are Precious Achiuwa, Florida commit Omar Payne, Florida State commit Balsa Koprivica, Harlond Beverly and five-star juniors Cade Cunningham and Moses Moody. Head coach Kevin Boyle always does a great job preparing his players for this even and I’d expect the same with this year’s team. Boyle has a versatile rotation this year, which is part of the reason why they are one of the toughest teams to match up against. They can attack you in multiple ways and there is no let up from start to finish. The University School Sharks come in as the seven seed in this year’s GEICO Nationals. The Sharks made a run to the championship last year and head coach Jim Carr's squad will look to do the same this year. Their road is a bit tougher with a tough first-round matchup in Montverde Academy, but with big-time prospects like Duke commit Vernon Carey and junior five-star swingman Scottie Barnes, anything is possible. There’s no denying that Carr has one of the best duos in the country, but his team is more than that. Juniors Roger McFarlane and Jace Howard play big roles along with senior guard Logan Alters and freshman guard Jett Howard. Montverde does match up well with the University School, but there are few players that are capable of shutting down talents like Vernon Carey and Scottie Barnes. Carey has a nice blend of physicality, skill, and athleticism. Coach Carr turns to Carey in some of the most crucial parts of the game because of how dominant he is with both his face up and back to the basket game on the high school level. Barnes may be the most intriguing prospect in the class of 2020 with how he is developing as a scorer, capability of running a team and constant motor. This is set to be one of the more entertaining first round matchups. La Lumiere is the lone undefeated team in this year’s GEICO Nationals. The Lakers didn’t come into this season as the number one team nationally, but they certainly ended it that way. Head coach Patrick Holmes led the Lakers to a 28-0 regular season record, earning two wins over Montverde Academy while beating Bishop Gorman and Sunrise Christian Academy. The Lakers are looking to win it all this season, repeating what they did two years ago with five-star standouts Jaren Jackson and Brian Bowen. Sure, it was a bit surprising that La Lumiere was this dominant this year, but when looking at their stacked roster, it makes more sense. Washington commit Isaiah Stewart II continues to raise his level of play, and has put himself in the conversation as a top three caliber talent for the class of 2019. Kentucky commit Keion Brooks Jr. is one of the best forwards in the nation and gives opposing teams fits on the wing. Stewart’s grassroots teammate Gerald Drumgoole, committed to Pitt, continues to come into his own and is a great third option to turn to on the high school level. Loyola-Chicago commit Paxson Wojcik and junior point guard Wendell Green Jr. are excellent scoring options as well, who have been very productive for Holmes’ squad. 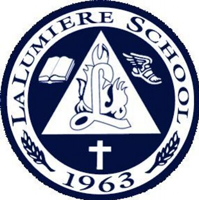 La Lumiere has shown throughout this year they are more than capable of winning it all this season, and they'll enter the tournament as the clear-cut favorite. Las Vegas powerhouse Bishop Gorman was a last minute addition to the GEICO Nationals field, but they're definitely a worthy fill-in team. The Gaels will take the selection from undefeated Georgia power McEachern, who won't have enough players to attend. Head Coach Grant Rice has had some impressive teams during his time at Bishop Gorman, and this year's squad is no different. The Gaels finished the season with a 28-4 record, and look to make it 31-4 with a successful run at GEICO Nationals. When looking at their schedule, it’s apparent that they didn’t shy away from competition, with one great example being their game in January against their upcoming opponent La Lumiere. They lost to the Lakers 67-54, but will draw value from the experience they gained in defeat. 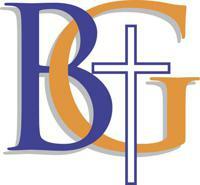 Bishop Gorman has a group of talented guards and one forward that highlight this team. Starting with the guards, junior Noah Taitz and sophomore guards Will McClendon and Zaon Collins produce on the scoring end. Taitz is a good slasher who has a knack for finding his way to the basket. McClendon uses his size and skill set to finish around the basket and Collins has excellent speed who is tough to stop when he gets out in the open floor. Junior forward Isaiah Cottrell is the biggest prospect on this team with his size and potential. 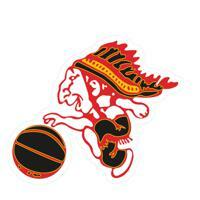 Junior Mwani Wilkinson and senior Chance Michels also contribute a great deal to this team and play big roles. Head Coach Grant Rice and his team are ready for war tomorrow in their rematch against La Lumiere. Oak Hill Academy did what Oak Hill Academy normally does this season, putting up an impressive record behind a lineup chocked full of Division 1 recruits. With a 30-4 record against one of the most competitive schedules in the country, the Warriors are more than worthy of GEICO selection. Hall of Fame head coach Steve Smith is led by the top point guard in the country in Cole Anthony, but the talent doesn’t end there for the Warriors. They have one of the best pure scorers in the nation in junior Cameron Thomas, a force inside in Illinois commit Kofi Cockburn and an elite athlete and competitor in Christian Brown. Other players that have stepped up this year are senior forward B.J. Mack (USF commit), junior guard Evan Johnson, junior wing Darrick Jones and junior big man Dylan Cardwell. Smith’s players are more than capable of taking home the championship this year. They took a tough loss to IMG Academy without their star point guard in Cole Anthony, and got beat handily by Montverde Academy. In both games, they didn’t play up to their potential, and they also weren't 100% healthy. The Warriors rely heavily on their guards Anthony and Thomas on the scoring end, and if these guys get going, there are few in the country who can stop them. They will be tested early by Wasatch Academy and will have to leave it all out on the floor for them to make it to the semifinals. 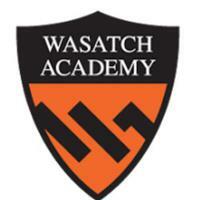 Wasatch Academy has made its way back to the GEICO Nationals after another successful regular season. The Tigers' 26-3 regular season season record was highlighted by their 65-53 win over Sunrise Christian Academy. Another impressive game to take note of was their 53-52 loss against number one ranked La Lumiere. This performance is indicative of their potential and that they aren’t a team to sleep on this week. First year head coach David Evans relies on a couple of players to get his team going on the offensive end. Junior big man Mady Sissoko is a beast on the boards and is at his best when running the floor. He is a threat whenever around the basket on the defensive end with how he blocks shots. Junior point guard Marvin Saunders runs the show on this team, and has excellent playmaking ability. Junior Caleb Lohner plays a great inside and out game and senior Tre Williams III is looked upon as the glue guy for this year’s team. Senior Tristan Enaruna has been in the headlines lately because of his rise in recruitment, which shows how he has emerged this season. As you can see, there is a lot to this roster and they can attack in multiple ways. Oak Hill Academy is a tough opponent, but the Tigers are well equipped for them in their matchup tomorrow. The tournament begins on Thursday, April 4th with the boys quarterfinal games (ESPNU), continues Friday, April 5th with the boys (ESPN2) and girls (ESPNU) semifinals, and concludes Saturday, April 6th with the boys (ESPN) and girls (ESPN2) championships from Christ the King High School in New York City.